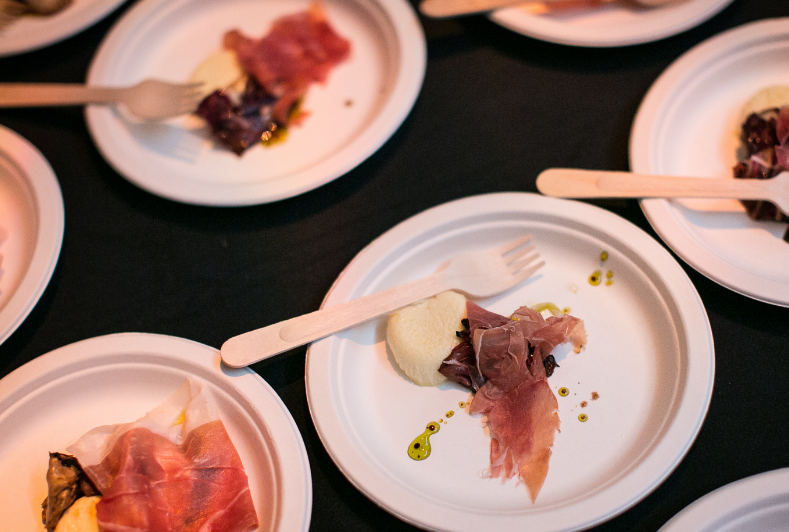 Chef Timothy Caspare of New York City Specialist restaurant, Pasquale Jones and also formerly Charlie Bird, created this dish specifically to showcase the one-and-only Prosciutto di Parma at the whole-hog culinary competition Cochon555. This Parma Custard and Prosciutto Appetizer is simple to make with minimal ingredients yet is a beautiful and complex-looking dish. This prosciutto recipe is full of rich and traditional Italian flavors that will impress every guest. Serve this prosciutto appetizer with a medium-bodied white wine, such as a Pinot Grigio, to compliment the Parmigiano Reggiano custard. Bring cream to a simmer and add Parmigiana Reggiano rinds. Allow to steep for 20 minutes, then strain. With a hand blender, blend the grated cheese into the cream, then strain. Adjust seasoning with salt as needed. Prepare 4 to 6 ramekins with a nonstick cooking spray. Add yolks to the Parmigiano Reggiano cheese cream mixture until fully incorporated. Portion the custard base between the ramekins. Place the ramekins in a deep roasting pan; pour warm water into the roasting pan until the water level rises halfway up the ramekin. Bake ramekins for 15 minutes or until custard is barely set, with a jiggle to the touch. To serve, top each custard with a slice of Prosciutto di Parma and serve warm. *These can be made ahead of time, and rewarmed in a water bath in the same way they were cooked.